In my first grade classroom much of our time is spent on sight words. This summer I have worked on creating and updating many of my sight word units. 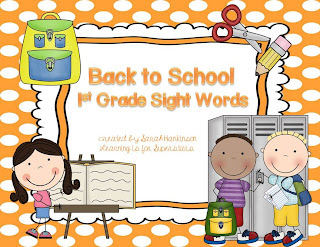 Here is a back to school freebie of first grade words for you! It includes word cards, Write the Room with 2 different recording pages, "I Spy" with recording page, "I have ... who has?" game, and "Late for School!" game with word cards. Click here or on the cover page below to grab your free copy! The next stop on the hop is EnRiching Kinders! Cute cute cute! Currently emailing my 1st grade teacher co-workers so they can check this freebie out! Thanks!! Wow! Thanks for such an amazing freebie Sarah. I can't wait to use it! Thanks for the wonderful freebie!! Thank you for a fantastic freebie! Awesome unit! You are so generous. I love all the activities at the end. Thank you! Thank You! What an awesome way to practice those tricky sight words. So cute! I will be borrowing these from you this year! Thanks for the freebie! Great pack! My second graders still struggle with these sight words- so this will come in handy in September! Great pack! 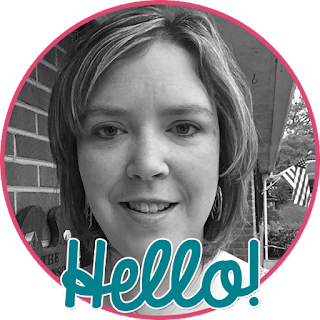 I am going to be sharing your blog with the 1st grade teachers at my school! I blog from Franklin County, VA -- and I'm your newest follower! Great freebie! I teach 5-8, but my son is going into 1st grade and this is a perfect game to work with him and get play:) Thanks so much!